سواءً كنت مسافراً بغرض السياحة أو العمل, Kidd Street Cottages هو خيار عظيم للإقامة خلال زيارتك جولد كوست. يقع الفندق على بعد 2 km من مركز المدينة، ويؤمن الوصول إلى أهم مراكز المدينة. بالنسبة لمن يريد الخروج، هذه بعض المعالم السياحية المتوفرة للزوار مونت تامبوراين, Tamborine Mountain Distillery, The Cedar Creek Estate Vineyard & Winery. إن الخدمات الممتازة وحسن الضيافة العالي في Kidd Street Cottages تجعل إقامتك تجربة لا تنسى. يقدم هذا الفندق العديد من الخدمات الكفيلة بإرضاء أكثر الضيوف تطلباً. ادخل إلى واحدة من الغرف 3 وتخلص من عناء نهار طويل بمساعدة مجموعة كبيرة من الخدمات كمثل تلفزيون بشاشة مسطحة, غرف لغير المدخنين, مكيف هواء, تدفئة, مكتب الموجودة في بعض الغرف. سواء كنت من محبي الرياضة أو كنت تتطلع لتفريغ عناء نهار صعب، ستجد خدمات ذات مستوى عالي بانتظارك كمثل مسار جولف - ضمن 3 كم, حديقة. مهما كانت أسبابك لزيارة جولد كوست، فإن Kidd Street Cottages هو الخيار الأفضل لإقامة مثيرة وممتعة. 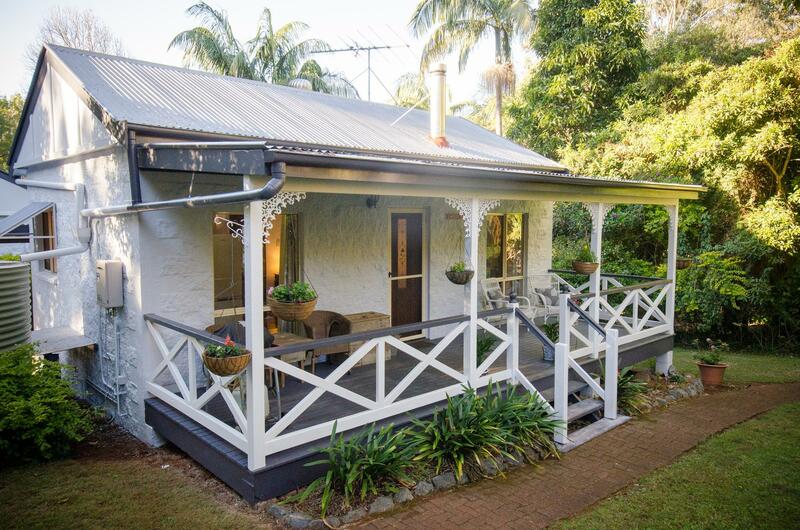 We stayed in Blue Wren cottage which has recently been refurbished. Vera and Ian were super friendly and paid great attention to detail. Everything you'd want is provided, including wood and fitestarters for fireplace, nespresso machine with pods, towel warming rack, magazines, DVDs etc. Great little balcony with Webber Q Barbie as well. All made for a very relaxing stay. Lovely. 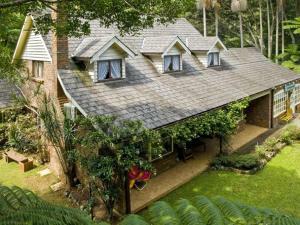 Had a great sleep in a nice quaint cottage. hard to say we only slept there, did not spend any time. I booked for 3, myself husband and 7 yo daughter, room had only one double bed and a sofa bed that was not made up, and only 2 bath towels. It said breakfast was included however this consisted of some old fruit 2 eggs and a garlic smelling turkish bread. Not particularly appertizing. 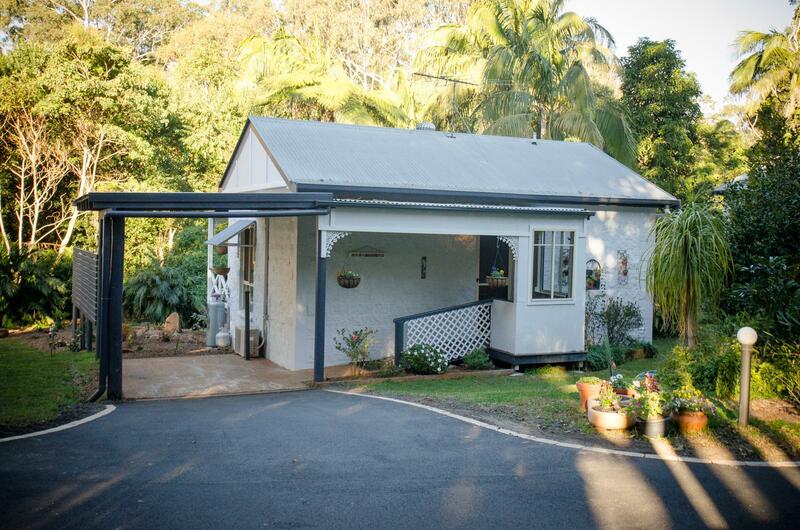 We went to Mt Tamborine for a wedding checkin was 2pm and wedding was 3pm, we asked for early checkin by 1 hr and was told no, however relatives staying at cottage next store said room was cleaned @ 10.30am and no one had stayed their night before? 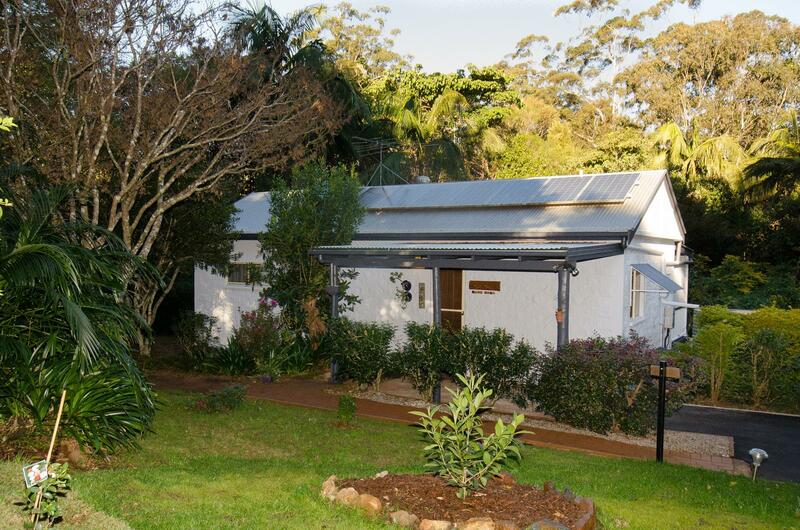 very well located to a small shopping village for incidentals. clancy hotel which is within walking distance where we had our dinner which was excellent!they have an irish band playing there which is well worth seeing. you do not need your car as a trolley bus picks you up and takes you everywhere. also a walking trail closeby. owner very friendly and cottages easy to find. happy with the 'cook your own' breakfast, but would have liked to know this was the case with 'breakfast included'. cottage was basically clean, but a few fittings etc. are starting to show their age. 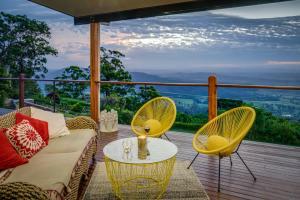 overall a pleasant place to stay on the mountain, close to all shops, eateries and all that mt tamborine has to offer. Das Haus und die Lage helfen einen sehr zunentspannen.